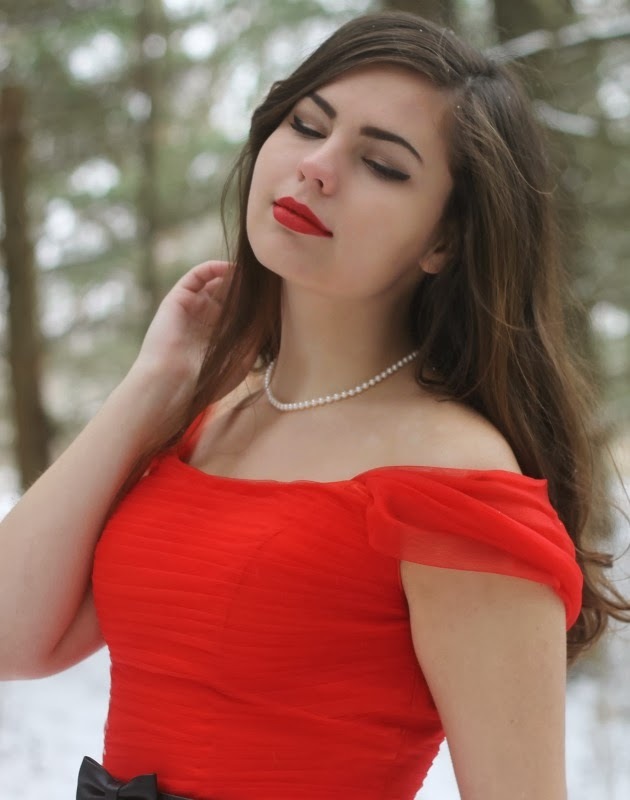 Red Dress: c/o Edressy (old). Pearls: Gift from my grandma. Well happy holidays to you all on this beautiful white Christmas! It was the crack of dawn that my little sister woke me up this morning and we did our tradition of watching the original 1960's Grinch before jumping on our parent's bed to wake them up. Maybe I'm exaggerating slightly on the jumping part, but sometimes that's the last straw to get my mom out of bed that early. It was a perfect Christmas morning with my family and rest of the day with extended family. Couldn't have asked for anyone better to spend it with; truly. Gifts are nice, of course, but I'm just thankful for my family. They're the best gift of all to have them all healthy and with me for Christmas. Love them so much. 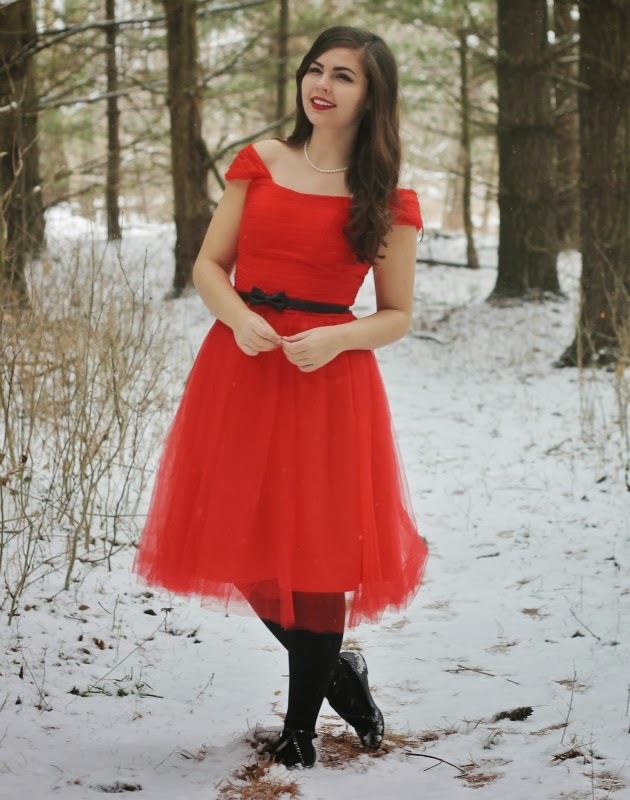 This is what I wore for Christmas Eve! 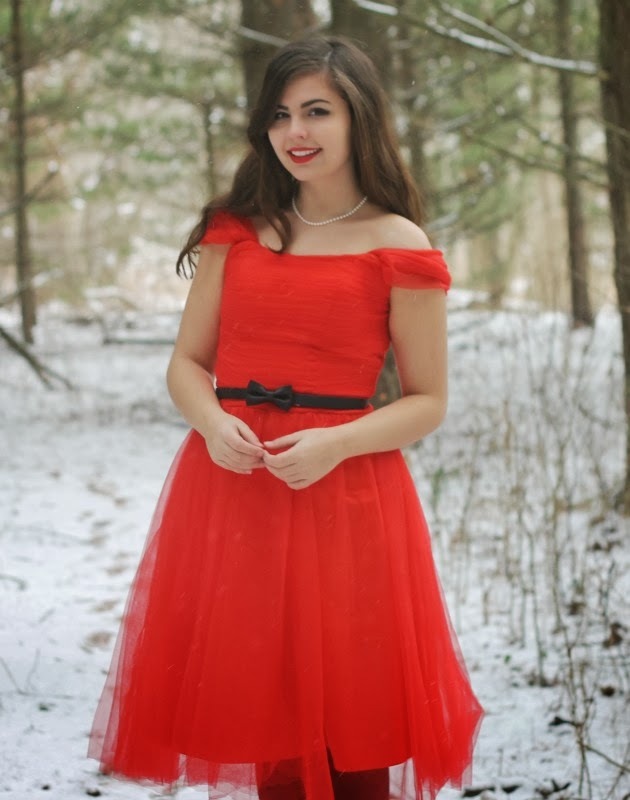 A stunning dress, but not best suited for frigid weather and snow flurries you can guess. That last photo is a super accurate photo of how I actually feel on the inside during these photos. Winter blogging you are the best and worst at the same time. That dress is just so gorgeous! I love the color! It sounds like you had a super lovely Christmas - traditions and family are just the best! Sounds like a wonderful time. So happy for you. Just blogged about my own Christmas too. Ahhh so pretty, and perfect for Christmas. 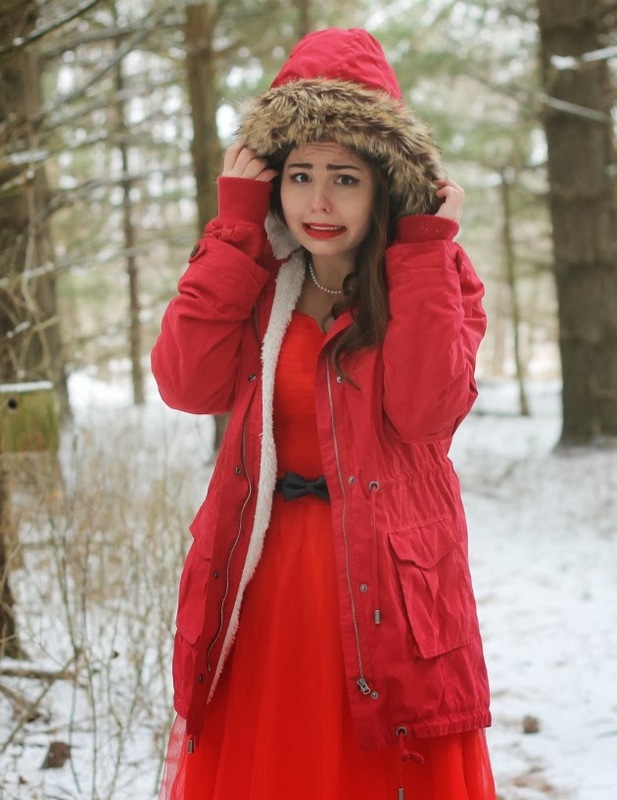 The last photo is the epitome of winter blogging, hahaha. Ugh I can only imagine!!! Beautiful. Lauren, can you honestly get anymore gorgeous!? I am always amazed by your beauty and all your talents whenever I read your posts. The last photo is the cutest! (And I love your dress so much!) Merry Christmas, doll! That last photo is like the epitome of winter bloggers. It's such a gorgeous dress! Anyway, sounds like you had a Merry Christmas indeed, and there's truly nothing like spending the holidays with your family. I think that as we grow up, the thrill of receiving gifts stops being the highlight of this time of year. It becomes more about our loved ones. 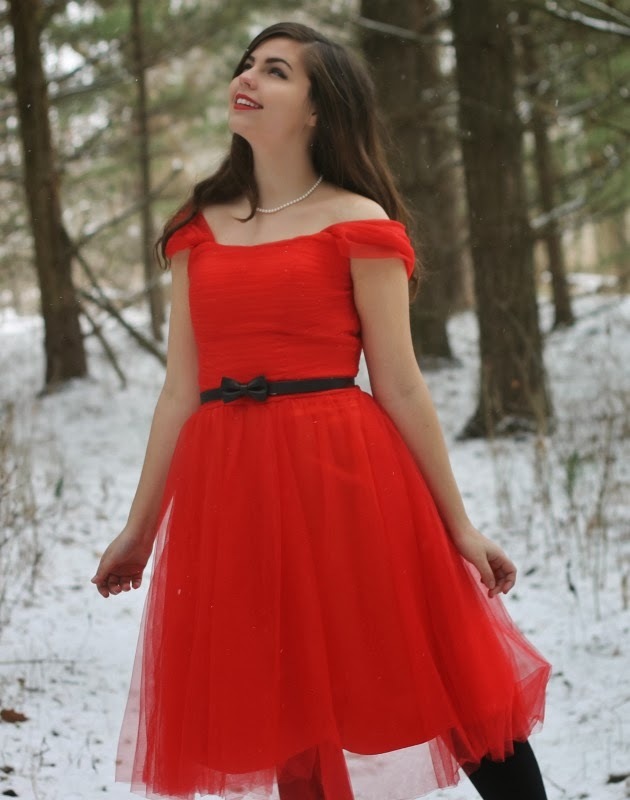 Your dress is really pretty, Lauren and I love your simple bow belt! I hope that you had a wonderful Christmas spend with your loved one. Oh and the last photo is my favorite! 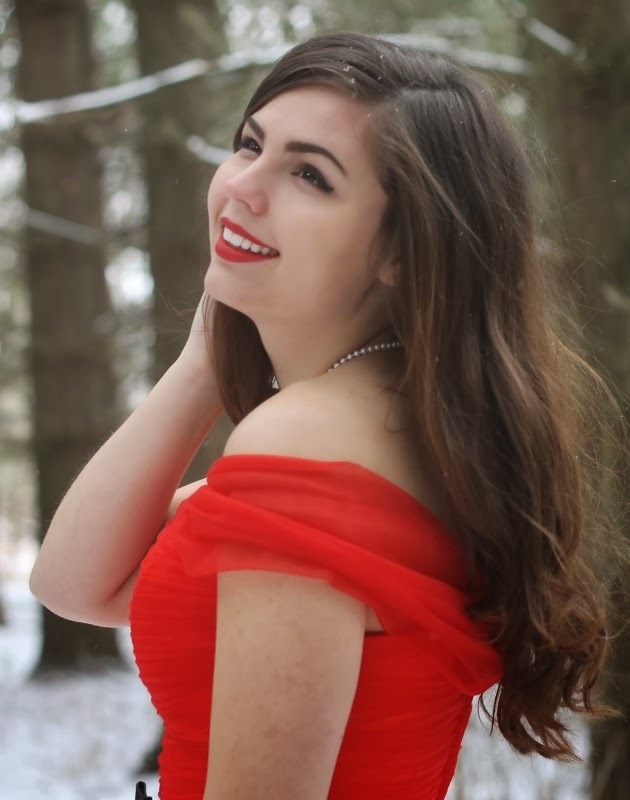 Absolutely gorgeous dress as well - braving the cold was worth it because these photos are just so perfect! You just win everything in that dress. It's so perfect and looks stunning on you! I'm happy to hear you had a good Christmas. Oddly enough, my big sister spent the night and she was the one who woke me up way too early, much like you. haha Sisters, amirite?? Haha I had so many pictures like your last one when I was up in Illinois. I love it! You're so cute! 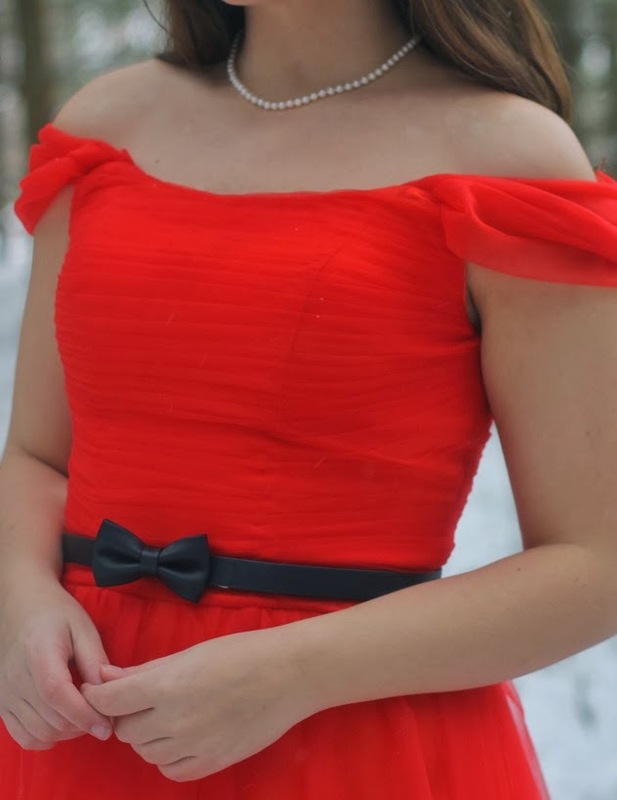 I just love this red dress so much. What a perfect, festive outfit for the holiday. OH MY GOSH! The last photo of you is so darn cute!! CUTIE! I think this will always be my favorite dress of yours. It always looks so gorgeous on you!